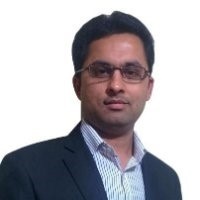 Ritesh Mehta works as a senior Technical Account Manager in a software development company named TatvaSoft Australia based in Melbourne. He specializes in Agile Scrum methodology, Marketing Ops (MRM) application development, SAAS & SOA application development, Offshore & Vendor team management. Also, he is knowledgeable and well-experienced in conducting business analysis, product development, team management and client relationship management. Ritesh has a strong ability to lead an entire software development team and manage any project from scratch to final completion within the scheduled time and budget. And of course, his good rapport with clients makes him a trusted technical advisor and IT solution partner. For more details, please visit www.tatvasoft.com.au. When looking for an Android app development company, the key to finding the right one is to determine exactly the kind of app that a business or an organization has in mind. Many service providers render qualitative development services to organizations all over the world. Android and Android mobile app development primarily is a mobile-based operating system that has a Linux kernel. The reason why the platform has become very popular is because it lets users have the best mobile functionality with apps present on touchscreen. Every app could be separately run from another application, thus numerous android apps could be simultaneously run. The main reason for the widespread development of Android is because the apps developed in this operating system are use on all smart phones. The moment a developer develops a new app in this system, he or she could upload it on the Google Play Store and get the business going. It has a lot of components, including libraries, applications and Linux kernel. It provides an app developer with unique ID for the app that’s developed. Approximately, there are 7 lakh applications in the app store and there are nearly one billion people using operating system-based smart phones all throughout the world. Because of the recent technological innovation and advancements, mobile applications have become a need for every business. For developing a market-centric Android application, it’s important to hire proficient app developers. Take a look on the following tips to find the right developer for a business. 1. Find a proficient developer. To hire a proficient developer, the important thing to take into account is the experience. Developing a market-centric as well as business-centric app is indeed a tricky task that should be proficiently done and needs experienced developers. 2. Avoid making cost the primary focus. A lot of businesses hire Android app development companies. However, to hire a cost-effective provider, they often end up with a poor quality application, which in turn is no use for the organization. Rather than taking risks with low budget providers, always hire those vendors that could develop quality-rich and feature-packed apps with affordable rates. 3. Sound knowledge of open source platforms. A business should find a development company that’s familiar with emerging open source libraries. 4. Check past projects. Going through past projects help understand the quality of delivery and the approach of the vendor. While hiring Android developers, check out the designing capabilities, app functionality and time taken to accomplish the project. It helps understand if the developer fits the requirements or otherwise. 5. Go for a certified and reputable service provider. Hiring a freelancer could be low-budget but it’s risky. Choosing freelancers could result to a negative result. Choosing wisely a certified and reputable development firm is the safest and most cost-effective way of getting an app developed. 6. Discuss post development support and tasks. Before proceeding to hire, discuss post development tasks, like app testing, submission, bug fixing, support, maintenance and others. Choosing an adept developer enables one to get the perfect application. Since Google rolled out the play store, the joy of experiencing an application has multiplied tenfold. There was a time when people looked to iTunes store from Apple and there are times when getting an iPhone was almost impossible. With Google play store and Android smart phones, access to applications has never been easier for all. Since Android offers an interesting revenue model, many enterprises have a dedicated team of app developers. The unique benefit of learning Android development is that learners could opt to work or do freelance. In the same way, once the person masters developing applications via Android, it is now easier to develop applications for other OS. Various devices offer different opportunities. For instance, smart TV customers would have different expectations compared to smart phone users when it comes to applications. App developers and application development companies could launch apps for every kind of customer segment, thus widening their base as well as increasing their revenue a lot of times. There’s plenty of inhibition among Android application developers over what they have to learn to be able to develop applications. Definitely, a developer of Android apps should be innovative, should be able to identify opportunities in the market and could develop new ideas. There are of course important skills to learn, such as Java since Android apps have Java coding. XML is the second most important skill for any developer because it enables one to work on the application design and layout. The services of an Android app development firm is very relevant these days. Android app service remain profitable as the demand for Android applications continue to surge.